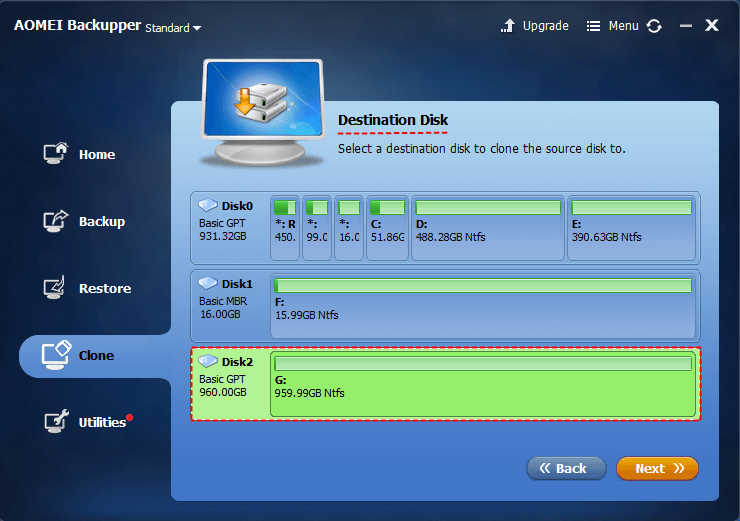 Cloning hard drive to another disk means making an exact copy of the source disk and deploy to the target disk. Usually, the partition layout will keep intact after cloning. When cloning the disk where operating system installs, the boot partition including boot.ini, NTLDR, BCD, winload.exe and MBR will be cloned simultaneously. AOMEI Backupper, embedding with the latest cloning technology, is able to clone a hard drive to another drive in a fast, secure, and easy way. “Sector by Sector Clone” option supports cloning every sector from the source to the destination, and the default “Intelligent Clone” method clones only used space on the selected hard drive to target disk. 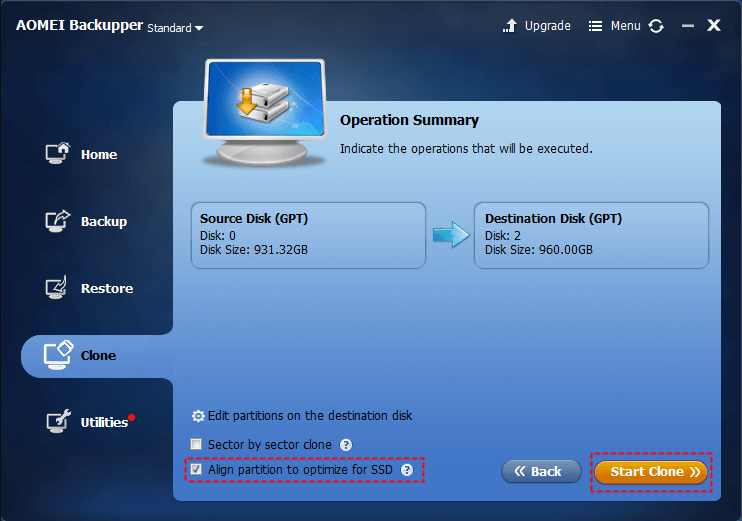 More important, it improves SSD’s performance and prolong lifespan if clone to an SSD disk. Get this free hard drive cloning software download (Windows 10/8.1/8/7/Vista/XP supported) and have a try now. 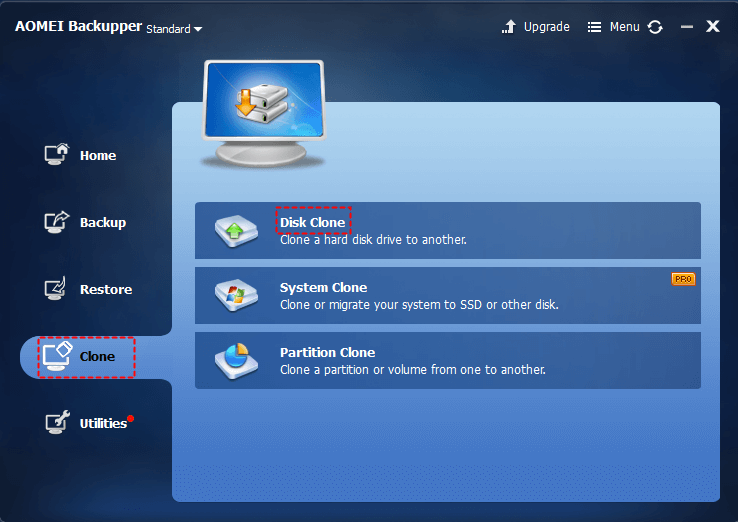 How to Use the Disk Cloning Software in Windows Step by Step? Step 1. Connect the target disk to your PC. Run AOMEI Backupper and click Clone > Disk Clone. Step2: Select Source Disk that need to be cloned from. Step3: Select the Destination Disk to clone to. Step4: Click Start Clone to execute the task. Switch hard drives if necessary.